Join in this challenging "block of the month" project based on Shelly Pagliai's book by the same name. Each month, we will learn a new block from the project and/or a technique to make assembling the blocks easier. Do you want to learn how to quilt? 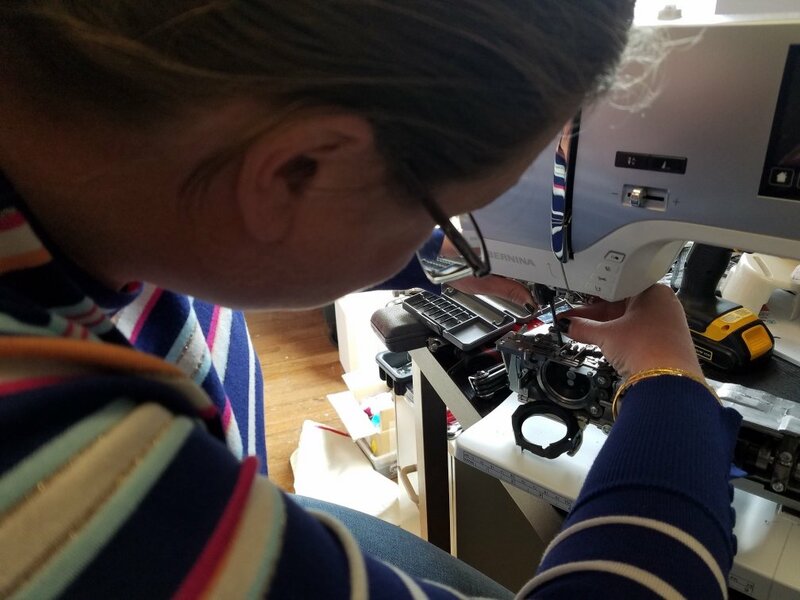 Are you eager to put your sewing machine to work on a treasured heirloom that will be passed down from generation to generation? Has it been awhile since you made your last quilt? Every Friday morning, bring your sewing project and your cup of coffee to sew with other morning people. A Sew Jersey team member will share expert tips and tricks with brunch club participants as well as help overcome sewing obstacles as they arise. Learn to thread, load and create free motion designs on our three long arms. Tuesday Club is hosted by Betsy Vinegrad. Drop in and sew with us.